KL Monorail- you need to take the lift or stairs down the ground floor and walk along the curve to the KL Monorail station. Skybus and Aerobus- going to KLIA & klia2- it operates from 3.30am to 10.30pm. 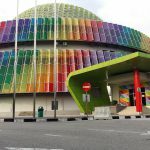 The Hilton and Meridian hotels are located behind KL Sentral while more budgeted hotels like KL Sentral Hotel are located in front of KL Sentral. 1. Bricksfields is just located within walking distance from KL Sentral. When you see KL Sentral hotel in front of you, you can turn right and walk straight along the main road- you will pass shophouses like Sin Kee Chinese restaurant on your left, Poslaju courier center on your right—then a school on your left. As you walk on, you will see a street with a flurry of activities where you can find various restaurants serving authentic Indian cuisines and selling accessories and clothings such as bangles, sarees, Indian spice and medicine. 2. 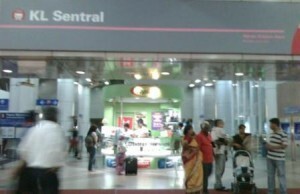 Bukit Bintang shopping area via the KL Monorail– Sungei Wang, Lot 10, Star Hill, Low Yat Plaza (selling IT gadgets and electronic items like camera) and Berjaya Times Square. 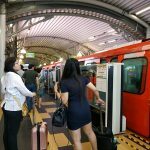 From KL Sentral, you walk to the Monorail station and take a monorail to Bukit Bintang stop- there you can spend literally the whole day walking around to do shopping- shoes, clothes, accessories, decorations of all types and varieties. 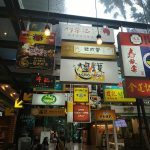 While you are there, you can proceed to Jalan Alor to have your dinner at night where many restaurants serving Chinese dishes and seafood- Jalan Alor is located near Sungei Wang Plaza- from there if you see KFC, you just walk into the lane and turn left- the place comes alive at night. 3. Suria KLCC & Petronas Twin Towers via the Putra LRT KLCC stop. In my opinion, items in KLCC are overpriced- perhaps due to the high rentals. But you may get something interesting from Isetan during sales session. 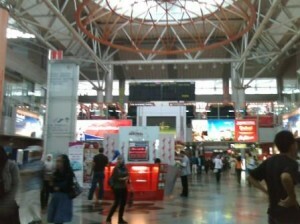 A lot of concept stalls are also in KLCC so you can find a lot of branded items there. A trip to Kuala Lumpur will not be complete without taking a photo of the KLCC twin tower. A good view of the tower is to for you to walk out to the park via the fountain and take the photo near a small bridge. Stopping at the Pasar Seni LRT station, you can get to Petaling Street- which needs no further introduction. At the same time, via Masjek Jamek or even within walking distance from Pasar Seni LRT, you can also get to Masjek India- the place has lots of traditional baju kuring, Punjabi suits and sarees as well as accessories. There are also craft items and embroidery items being sold there. During the fasting month of Ramadhan, a lot stores are opened selling traditional Malay clothes like baju Melayu, baju kurung and baju kebaya. Every Saturday night there is a night market at Chow Kit road (located next to Masjek India area- you can ask around). The night market is huge- almost the entire road has stalls around it. From Gombak LRT station, you can buy a bus ticket and a Skyway train ticket to Genting Highlands. Genting has a theme park and a few casinos- families usually enjoy spending time there because of the entertainment and cool weather since the highland is located amongst the clouds. You can make a day journey but be sure to check with the staff when is the last cable car and bus coming back to Gombak LRT (the last station). Go early- else you can also book a hotel there in advance. Note: If you are coming back at night from Gombak, you can stopover at Wangsa Maju LRT station for food- at night, there are lots of food you can find in restaurants near the LRT station- the food is nice and price is relatively cheaper than KL town. Reason is because a lot of outstation students studying in TAR college stays there. 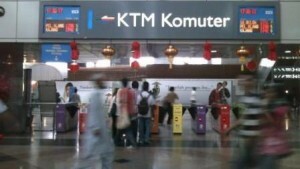 The above are only some examples to give you an idea that from KL Sentral, the trains can take you to different places. You would just need to make sure you take the correct train because since there are a few trains operating in KL Sentral, it can be confusing at times.